MOHAVE COUNTY—Don’t know where the egg hunts are this year? Check out our list of several Easter celebrations scheduled in and around Mohave County. ▪️9 a.m.—Mohave Valley Fire Department’s annual Easter egg hunt at Willow Valley Golf Course, 8011 Highway 95. Egg hunt begins at 9 a.m. sharp. All ages welcomed. Hit the green to see how many hidden eggs can be found. ▪️9 a.m. to 6 p.m.—Pirate’s Cove Resort, 100 Park Moabi Road, Needles, Calif. Bring the family for a day of fun. Hunt for eggs around the resort and snap a photo with the Easter bunny. Open to the public. ▪️10 a.m. to 2 p.m.—Kiwanis Kids Expo at Ken Fovargue Park in Bullhead City. Event is free and open to the public and includes free swim, water slide, live entertainment and much more. ▪️10 a.m. to 2 p.m.—Family Fun Easter Egg Hunt & County Fair at Sara Park Rodeo Grounds, 1799 S. McCulloch Blvd in Lake Havasu City. Join Milemarkers in celebrating Easter this year with a little egg hunt and boot scootin’ fun. Event is free to all ages. ▪️11 a.m. to 2 p.m.—Head over to Tractor Supply, 967 Hancock Rd., with your four-legged family members. Have the Easter Bunny take a photo with your pet for just a donation of a bag of dog food or cat food that benefits Food Four Paws Pet Pantry, a local pet non-profit organization. ▪️11 a.m. to Noon—Gear up for the annual Easter egg hunt at Centennial Park, 3333 Harrison St. in Kingman. All ages welcomed and free of charge. The Easter bunny is slated to make an appearance and special eggs will be hidden throughout the fields for prizes. 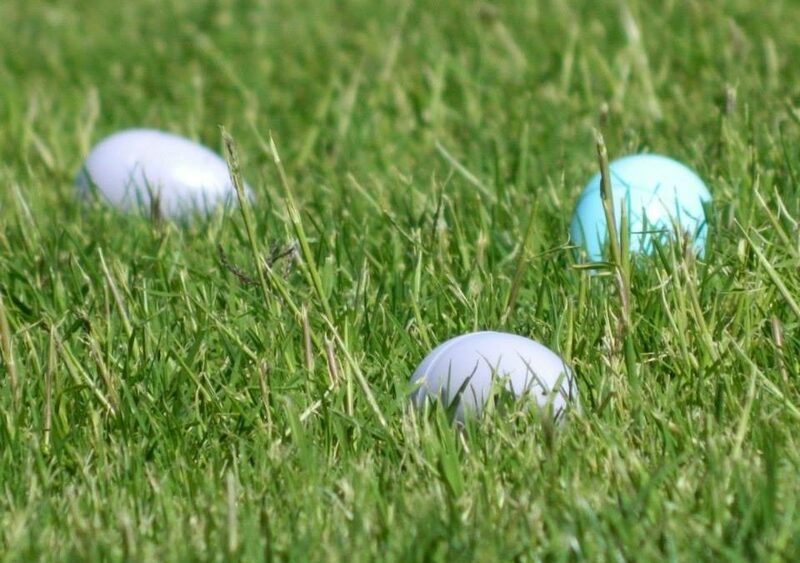 Don’t miss the egg toss at 11:20 a.m. at the park. ▪️9:30 a.m. to Noon—Inspire the Church will be holding a first-ever Easter Sunday event at their church, 2139 Swanson Ave. in Lake Havasu City. The event is free to the public and includes an egg hunt, face painting, treats and much more. ▪️Noon—Stop by Davis Camp, 2251 Highway 68 this Easter Sunday for the Kiwanis Noon Club’s egg hunt. The event is open to the public free of charge. No parking fees. Bring your camera to capture the memories of your child meeting the Easter bunny. ▪️12:30 p.m.-12:50 p.m.—Kingman First Southern Baptist Church, 3120 Hualapai Road in Kingman. Ages 11-5 can attend the egg hunt free of charge. Older kids are scheduled to got first at 12:30 p.m.